Galette is a French term for a free form tart or cake. With my qualms about leakage calmed, D. and I tuned into the Grand Prix of Monte Carlo and set to making a proper French galette. It turned out to be so much easier than I thought. If we hadn’t devoured most of it during the race, it would have been the perfect dessert to take to a Memorial Day picnic or barbecue. 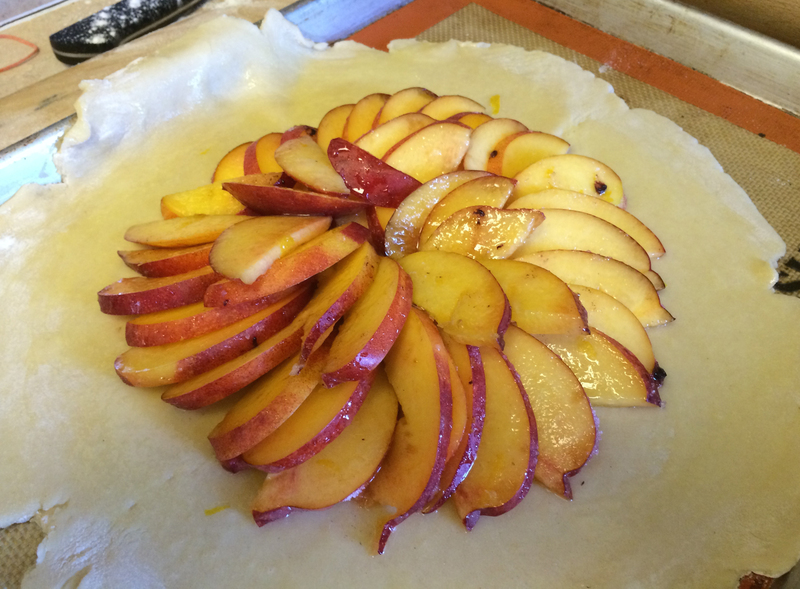 The most challenging step in making the galette is letting it cool before cutting it. This lets the sugar and the juices set and absorb into the inner layer of pastry. I like using fruit that is high in pectin like stone fruits and apples because the pectin helps the cooked sugar and juice to set. If you are using just berries for example, you might want to add a tablespoon of corn starch to help thicken the liquid. 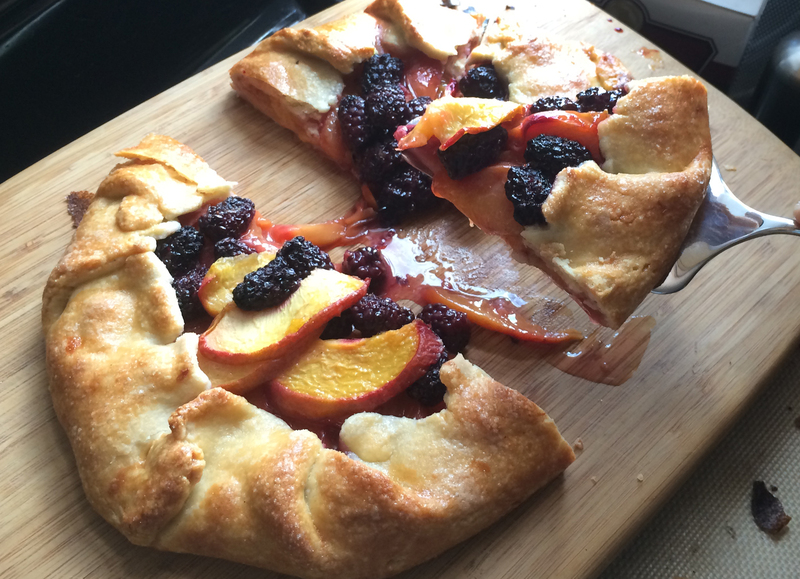 Again, the fresh hot galette will tempt you, and you will want to cut into it too soon. But if you do, you will end up with a runny mess. Preheat the oven to 350º F, and set the rack to the middle of the oven. Make your pie dough. While it is resting in the fridge, cut the fruit and toss it in a large bowl with the sugar, lemon zest, and cinnamon until all the fruit is coated. Roll your pie crust to about 12″ in diameter, and 1/8″ thick. Position it in the middle of a 12″ x 16″ baking sheet lined with parchment or a silpat. Brush the pastry with the egg wash. 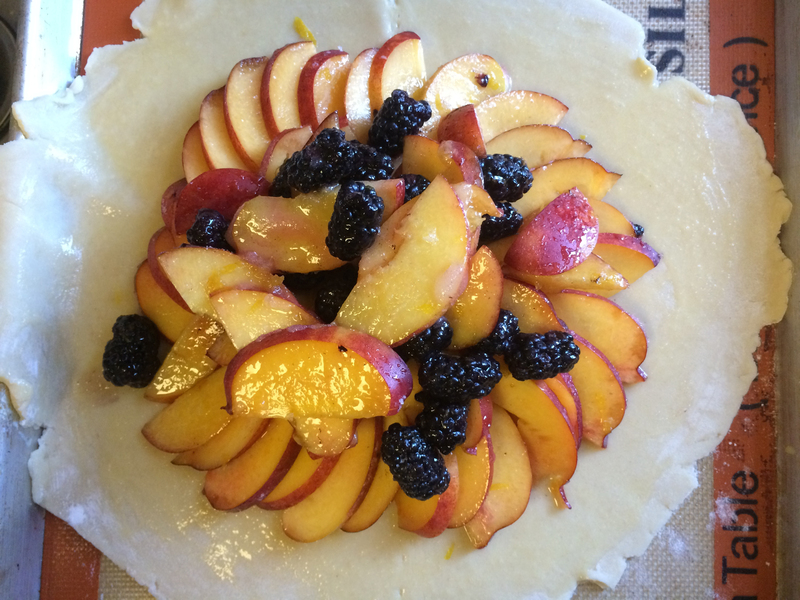 Arrange the fruit in the the middle of the crust, leaving about 2 inches of pastry around the edges. 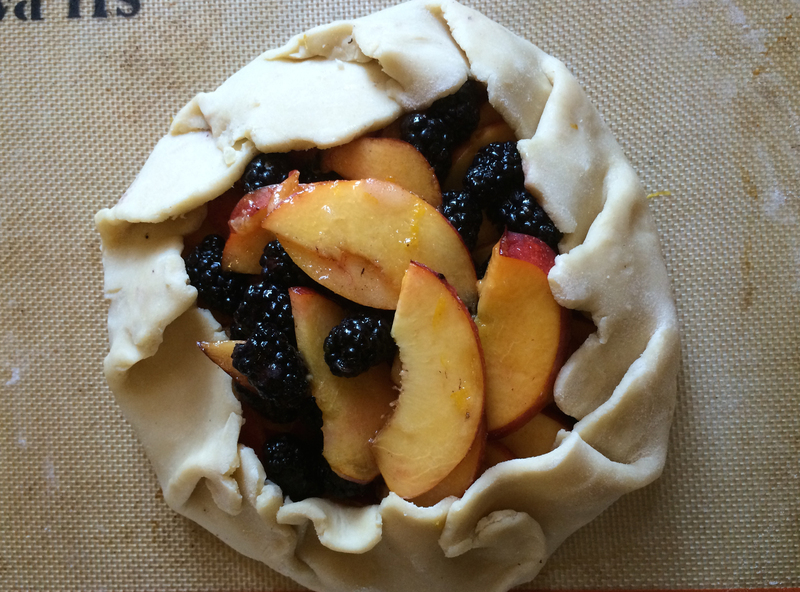 Gather the edges of the pastry in over the fruit, leaving an opening in the center. Do your best to seal any holes in the bottom or sides of the pastry. The fruit will bubble as it’s cooking and it’s okay if some of the liquid with runs out over the top. Brush the outside of the pastry with the egg wash and sprinkle generously with sugar. Bake the tart for 50 minutes to an hour until the fruit is bubbling and the crust is golden brown and cooked through. Let the tart cool to almost room temperature before cutting. Serve with whipped cream or ice cream. 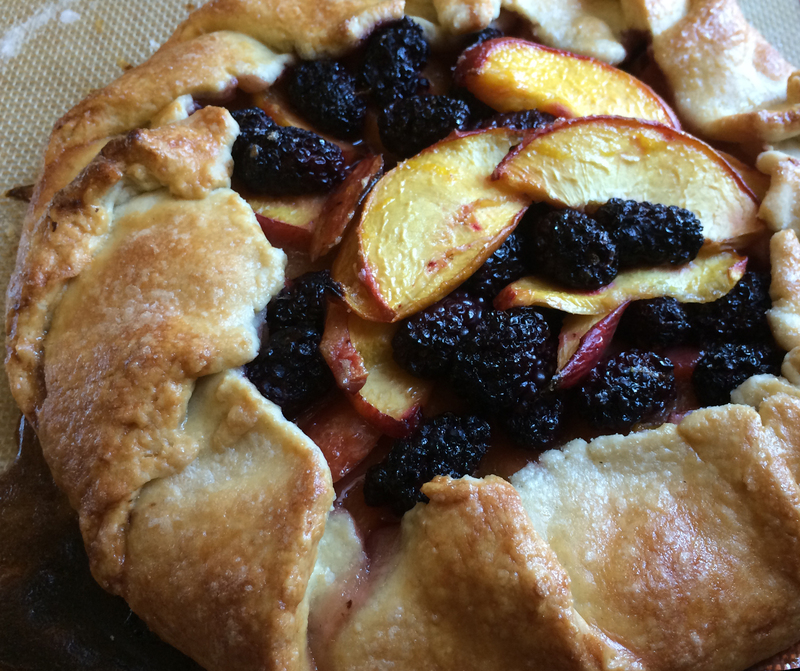 Tags: Baking, Berry, Fruit, Nectarine, Quick, Slow Food, Tart, Technique. Bookmark the permalink.